Careers in Salesforce are currently in high demand from employers. Here we look at one developer's journey and how he went from a Salesforce administrator to an enterprise game-changer. What is a Salesforce Consultant? The year 2008 was a big one for Michael Glassmaker. With a background programming in Java and C#, he'd been working with the Salesforce.com platform as a power administrator, but the cloud-based CRM company's newest release, in spring of 2008, opened a whole new world of opportunities. "I was doing some Apex development already, but that spring 2008 release and the Visualforce and Apex capabilities it introduced, was when I realized I could program this platform to do so much more with cross-departmental integration. Not just for CRM and sales and marketing, but across the entirety of an organization," Glassmaker says. 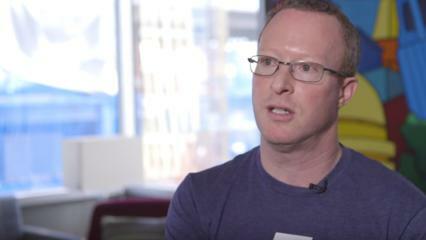 As user adoption started to skyrocket and the demands for customized applications on the Force.com platform just kept coming, Glassmaker realized he'd stumbled into a full-fledged career as a Salesforce developer and consultant. Now a senior contract resource for clients, including IT recruiting and staffing firm Mondo, Glassmaker was perfectly positioned to leverage his own existing skills and the incredible popularity of the Salesforce.com solutions to create his dream career, he says. "I was in a place where I was already working with Salesforce technology, but then when the company made the jump from just a CRM to an enterprise-capable platform, I wanted to come along, and it really boosted my opportunities," he says. The demand for these roles is incredibly high, says Alexandra "Gigi" Neuenfeldt, tri-state and national sales manager for IT recruiting and staffing firm Mondo, and she doesn't see that abating anytime soon. "The demand from the market is really high; demand for developers who can build on and around existing Salesforce platforms, Salesforce administrators, project managers with Salesforce experience, Salesforce training specialists, Salesforce solution architects. Our clients need talent for everything from low-level reporting professionals to high-level developer skills to integrating Salesforce tools and to architects and solutions developers that specialize in customizing the platform to their organization's needs. There's a huge range of skillsets tied to this one area," Neuenfeldt says. And there are plenty of available jobs for professionals with these skills; a recent report from Burning Glass analyzed the research firm's proprietary database of more than 100 million job postings collected across over 40,000 sites and found more than 300,000 job postings between July 2015 and June 2016 that called for Salesforce skills. According to the Burning Glass report, these roles range from those requiring basic understanding of Salesforce's products to more complex software development roles as well as contract consultants like Glassmaker. "Setting aside the near-universal Microsoft Office suite, Salesforce is now the 7th most in-demand software skill, up from 18th just four years ago. That puts demand for Salesforce [skills] ahead of IT stalwarts such as Python, .Net, and C++, and in line with commonly used applications such as Adobe Photoshop," according to the report. There is a small but growing category of jobs that are specifically designed around Salesforce skills, according to the Burning Glass research. Glassmaker is among a growing number of professionals who has carved a niche for himself as a Salesforce specialist, says Mondo's Neuenfeldt, and he works almost exclusively for the firm on a variety of Salesforce projects across the company. Many other companies also are developing positions specifically to build and maintain their Salesforce applications, such as Salesforce Administrator, and Salesforce Developer, according to the Burning Glass report. "In most positions, Salesforce knowledge is required as a complementary skill, in addition to a technical skillset in IT roles (such as software developers and network engineers), sales roles (such as sales representatives and sales managers) and marketing roles (such as marketing managers and marketing specialists)," the report says. The demand for Salesforce skills is also growing faster than demand for other skills, according to the report. Since 2012, Burning Glass reports that postings calling for Salesforce skills have grown 1.3 times faster than job postings overall, and demand for Salesforce-specific jobs have quadrupled. "In roles where Salesforce is a complementary skill, demand for Salesforce skills is increasing as well. For example, postings for Sales Representatives calling for Salesforce skills increased twice as much as all sales representative postings over this same period," the report says. The key for professionals looking to make a career out of Salesforce is an in-depth knowledge of at least one vertical market, says P.K. Agarwal, CEO and regional dean, Northeastern University-Silicon Valley. "One of the great things about this is that almost anyone can teach themselves Salesforce regardless of their background and discipline. Salesforce consultants should have a solid technical background, yes, and great soft skills and consulting skills, but almost more importantly, deep expertise from outside the technical area. And there are so many options: retail, banking, healthcare, education. It's so important to have that soft skills and vertical market focus, and then you can build on your existing education through Salesforce TrailHead and on-the-job experience," Agarwal says. Salesforce skills also pay well, regardless of whether job roles require technical skills or not, the report shows. On average, jobs that request Salesforce skills pay more than $70,000 per year, and for Salesforce Developers that balloons to $100,000, according to the report. 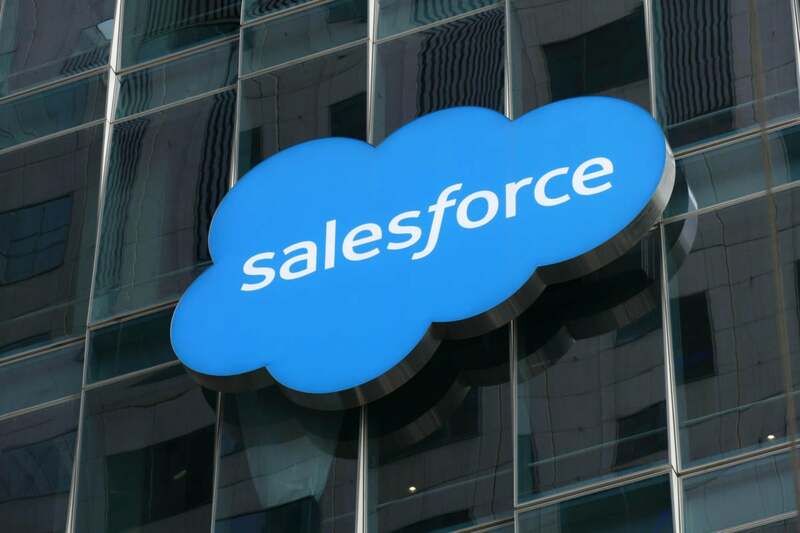 Sales roles requesting Salesforce offer 8 percent higher salaries than other sales roles, and IT roles with Salesforce carry an 11 percent salary premium. Specific advanced skills, such as Visualforce and Sales Cloud, command salaries over $100,000. "Salesforce administrators in the New York city area can command between $80,000 to $90,000 a year; Salesforce developers we see could get $100,000 to $130,000 a year or more, depending on their years of experience, specific development skills and accomplishments and the like. And Salesforce project managers -- those professionals who assess what a company's doing and manage the implementation of new deployments, or that do customizations, could get anywhere from $130,000 to $150,000. Even contract positions pay higher rates -- anywhere from $130 an hour to $160 an hour," says Mondo's Neuenfeldt. If you're looking to build a career in this area but don't yet have the Salesforce certifications, that's not a deal-breaker, says Northeastern's Agarwal. With the skillsets in such high demand, many organizations are willing to provide training and pay for certification to ensure their talent has the right skills, he says. Glassmaker agrees. "For me, I had a verticals background in finance as well as with technology and networking companies, and that was a great addition to the skills I demonstrated when I achieved what's now called the Salesforce Certified Platform Developer," says Glassmaker. "Finding a company that will pay for you to get these certifications is a win-win and it'll help your career take off," he says.